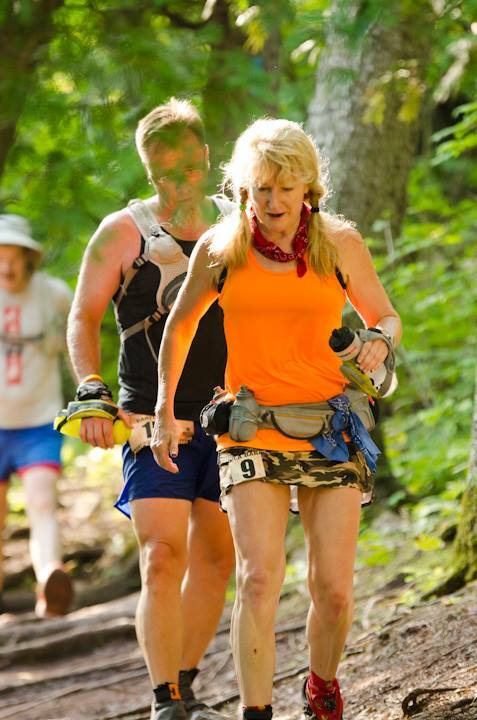 Who turned the heater on high in the Minnesota arrowhead region just as the 178 runners left the start line on September 6th for the Superior 100-mile trail race? 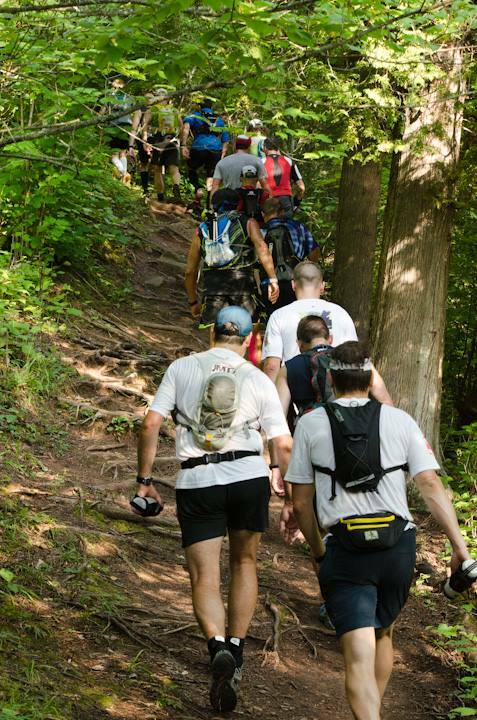 As early as the first aid station at 9.7 miles, runners began dropping out of the race. By the second aid station, even the veteran ultra runners were struggling from nausea, vomiting and the like. At the Tettegouche State Park aid station at mile 35, when volunteers asked runners what they could get for them, a common response was, “Ice Coke, ice water, and can you fill my bottles with ice?” Runners were putting ice under their hats, ice on their necks, ice down their shorts, ice down their bras (hey guys, bras do have extra benefits! ), and some even took a 15 minute break laying down with ice all over their bodies. And yes, the area convenience stores began running out of ice that day. But as one local noted, “It could be worse – it could be snowing.” However, I’m sure many of the racers would have much preferred some flakes over the heat and humidity. 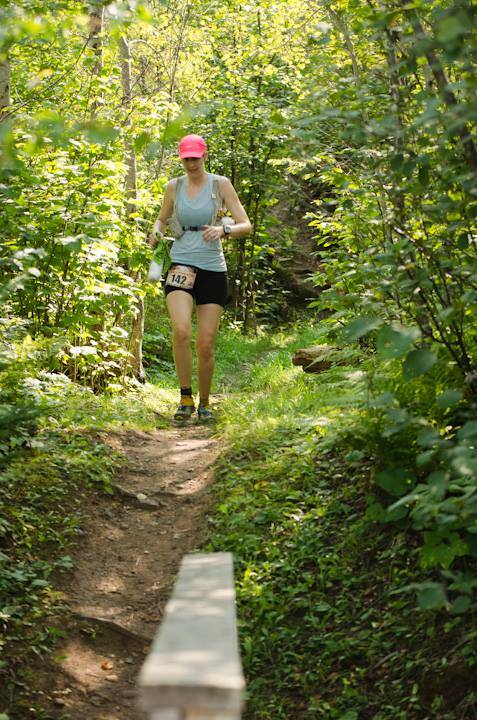 The Superior 100 was the fourth big hurdle in the 2013 Gnarly Bandit Ultra Series. While 22 runners began the first race of the series, only nine runners toed the line this day by finishing all three previous races of the series. The Gnarly Bandit capitalized on the variable that seemed to be plaguing Minnesota this whole year – a rollercoaster of weather patterns. If it can snow more than a foot in May in the southern part of the state, ya’ betcha it can hit 90 degrees in September “up north”. The Bandit just had to sit back and watch after he turned the heater up and blew in the humidity. And the runners responded in fashion – curling over, losing their lunch and falling like flies. While all the runners suffered, many were able to pick themselves up off the rocks and fight back. If they could stay ahead of the cut-off times at the aid stations, they could keep making forward progress while trying to keep calories and liquids down. Most overnight races offer cooler temperatures at night, but the Gnarly Bandit was not that nice. At this race, he trapped the humidity and heat right on top of the runners and made them feel like they were trapped in a balloon. The Bandit didn’t even open his mouth to breathe as there was absolutely no air movement all night long. Apparently, by the next morning the Bandit was tired of holding his breath so he let a few slow breezes go, but he hung on to that heat with a death grip. 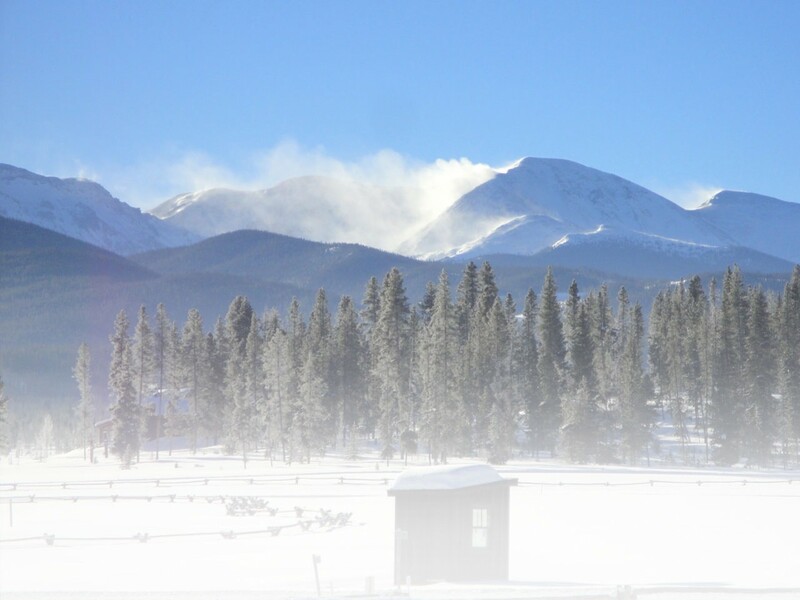 Nevertheless, these conditions did not stop 150+ 50 milers and 200+ marathoners from toeing the line for their races that morning. By mid-afternoon, the Bandit was losing his gnarliness because the heat started to give way to reasonable levels, even falling to the 60s by late afternoon. After the races were in the books, 49% of the starters finished the 100 mile. The Gnarly Bandit series contenders did fair better with a finishing rate of 89% (yes, only one didn’t finish), but not without some deep fight with the Bandit. With one of the best battles of his career so far, the Gnarly Bandit just couldn’t stop these determined athletes: Joseph Hegman (Edina, Minn.) 32:07:14; Tina Johnson (Wauwatosa, Wis.) 32:29.13; Matthew Menacher (Chicago, Ill.) 33:16:20; Ron Hendrickson (Esko, Minn.) 33:47:07; Daryl Saari (Rochester, Minn.) 36:06:57; Angela Barbera (Mauston, Wis.) 37:27:24; Jessica Pendleton (Johnston, Iowa) 37:42:59; and John Taylor (Minneapolis, Minn.) 37:52:12. Full results for all races can be found at Superior Fall Races website page. 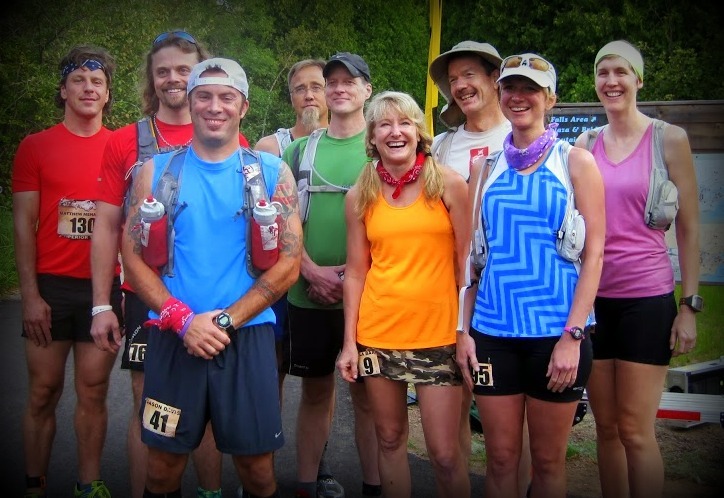 The Gnarly Bandit Ultra Series, sponsored by Wilderness Athlete Performance Products, is offered by Upper Midwest Trail Runners. 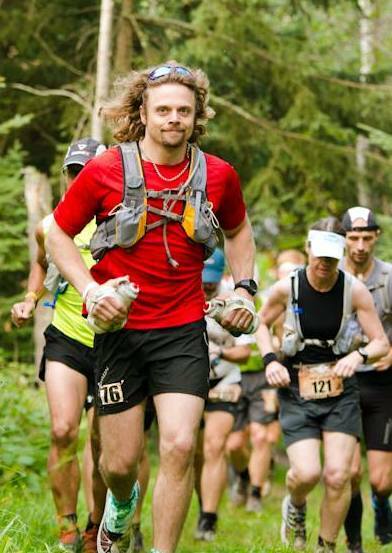 All athletes who complete all five races (four 100-mile races and one 100K race) receive an equal portion of the $600 bounty put up by Wilderness Athlete, as well as Wilderness Athlete performance products and a coveted work of art by Rock Steady Racing’s own John Storkamp. 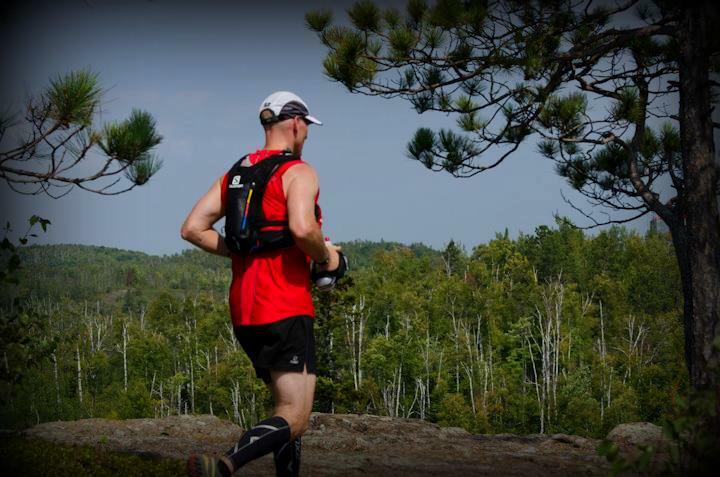 The last race left in the 2013 Gnarly Bandit Ultra Series is the Wild Duluth 100k on October 19th. Wanna take bets on what the Gnarly Bandit has up his sleeve for that race? Snow? Freezing Rain? Ok, ok – I’ll stop before I give him any more ideas! All action photos were provided by Todd Rowe. The group shot was provided by Lisa Messerer. 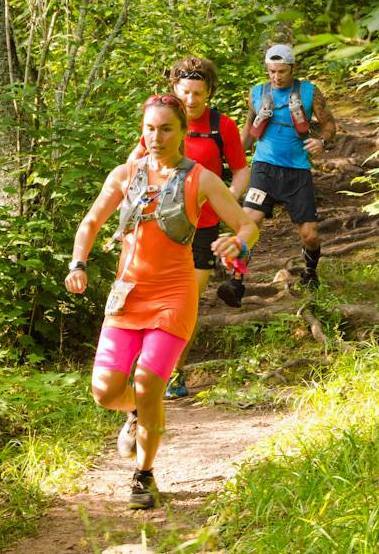 This entry was posted in Features, Trail Running by Molly Cochran. Bookmark the permalink.